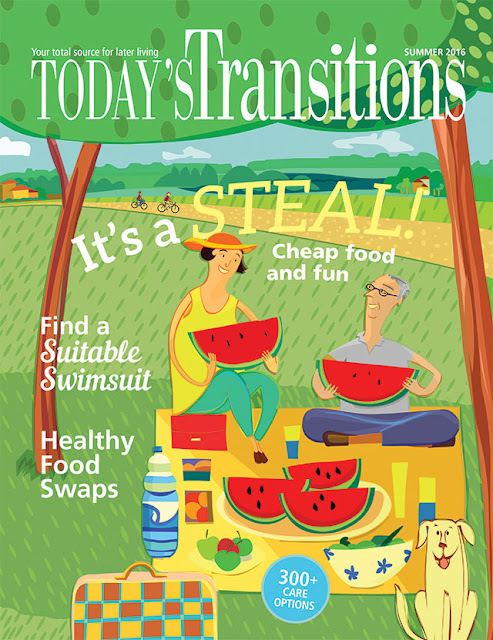 Today's Transitions Now: The Summer Issue is Out! The Summer Issue is Out! Sometimes adjusting to changes in your life is scary. But you can adjust to your changing circumstances — without becoming overwhelmed — by changing your response. • Change what you eat by opting for a healthier meal using some of the ideas in "Make These Food Swaps." • Choose to spend some time with a friend by attending a show included in our "Not to Miss" events. • Our "Caregiver Circle" panel has plenty of useful tips to help you navigate your way through the challenges of caregiving. • If you’re a grandparent raising your grandchildren, read "Parenting Again," Linda Sherlock’s story on how she has created a happier life for herself and her family. Pick up a copy of the new summer issue on stands now, or read it online.